"Ay ginalingan. Sana nag-cartwheel din siya papunta sa gitna." 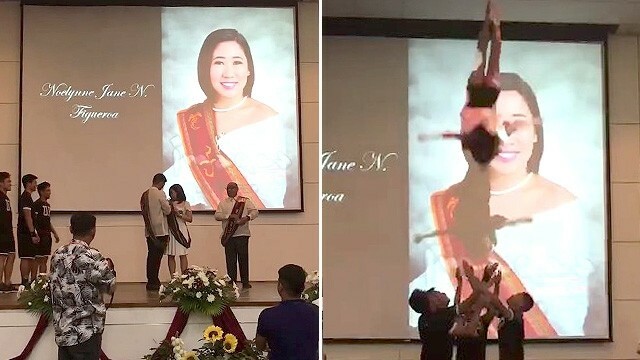 Some people celebrate their graduation by eating out or having a party after the ceremonies, but University of the Philippines cheerleader Noelynne Jane Figueroa, who graduated with a degree in Sports Science in UP Diliman, memorialized hers by performing a cheerleading stunt. As soon as her name was called, Jane rushed to the stage to accept her pin and diploma, but instead of heading for the exit, she performed the stunt with the help of four guys from the squad who lifted and tossed her mid-air! Of course, it didn't take long for her video to become viral and for the internet to react. Aside from the usual tagging of friends and the "gawin mo to" comments, the feedback was pretty hilarious. Here are 17 of the funniest reactions we found. *tags friend* "Wish we were sporty enough to be this extra." "Gusto ko ganito ako ka-extra sa grad." "Bes, look oh. Dapat sa speech mo may intermission number." "Bes, mag-split ako pag grad." Friend 1: "Di mo kaya mag-serve ng volleyball sa stage next year." Friend 2: "Mag-spike receive ako dun humanda ka!" "How does it get more extra than this?" "When college is life but cheerleading is lifer." Friend 1: "Gusto ko rin ng ganito. Punta kayo sa grad ko." Friend 2: "I gotchu! Pati pyramid gawin na din natin." "Woah! The floor is adulting kaya nagpahagis siya." *tags friend* "So anong pakulo natin sa graduation mo?" "The level of extra I aspire to be at graduation." "Wait lang. Naka-heels pa si ate nung binasket toss siya. Uwian naaaa!!!" *tags friend* "Mag-file ako ng leave para magawa ko to sa graduation ceremony ng Masters mo." 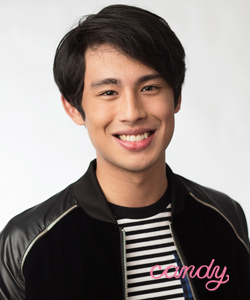 "Mag-Zumba talaga ako sa grad!" What was your reaction when you first saw this video?